iTunes 11.1 brought with it support for iOS 7 and the excellent iTunes Radio feature, but another small feature lets you see song changes in the OS X Notification Center. Though it’s a fairly minor feature, there have been a variety of third party tweaks and apps to provide similar services over the years, making it pretty nice to have this natively. 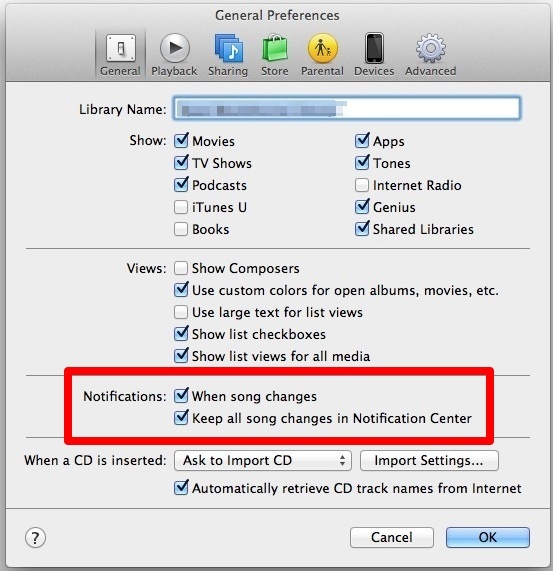 The initial setting to see Notifications is handled through iTunes, though the total song count is adjusted through System Preferences as shown in the next step. Showing 20 songs may seem excessive for users who rely on Notification Center for other alerts, but for those who don’t use the feature much otherwise it can be an interesting way to see a songs played list that wouldn’t otherwise be accessible. 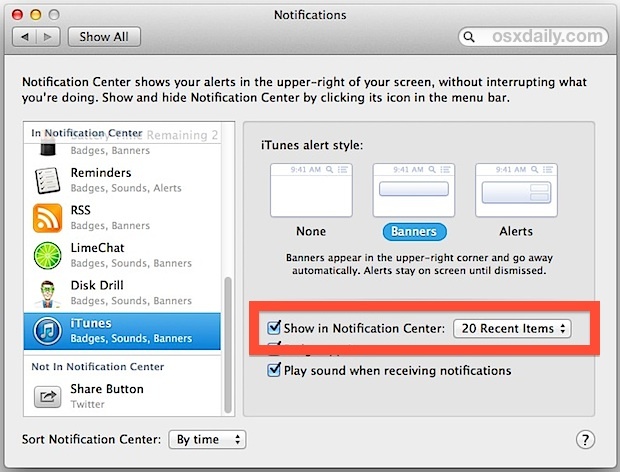 This feature obviously requires Notification Center to be enabled, which is part of OS X Mountain Lion or OS X Mavericks, thus Lion users won’t find the option or the notifications. If you disabled Notification Center at some point, you will need to re-enable it beforehand. 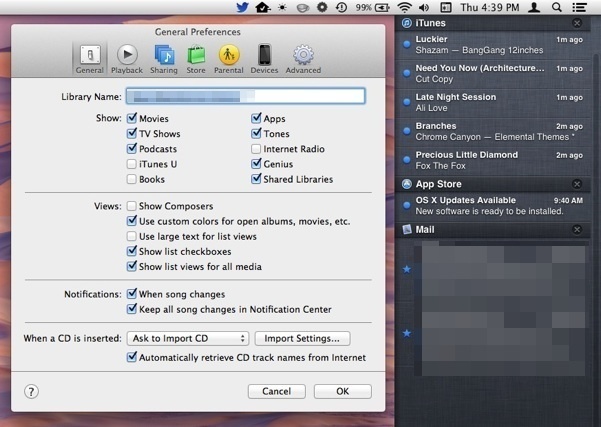 Macs with older versions of OS X and iTunes can continue to use a defaults command to enable a Dock-based song alert instead.